The judging panel for the PEN South Africa Student Writing Prize consists of Board Member Gabeba Baderoon (chair), Panashe Chigumadzi, Nick Mulgrew and Masande Ntshanga. Read more about these four accomplished writers below. The PEN South Africa Student Writing Prize invited young writers under the age of 30 to send in their fiction, creative non-fiction or poetry on the topic of the recent #FeesMustFall movement and the student protests. The winning writer will receive R5000 and will get the chance to attend a seminar at the University of the Witwatersrand, followed by a prize-giving. The seminar aims to encourage public discourse around freedom of expression and will examine the role the media has played in the #FeesMustFall movement. Gabeba Baderoon is a poet and scholar and the author of the poetry collections, The Dream in the Next Body and A Hundred Silences, and the monograph Regarding Muslims: from slavery to post-apartheid. Her short story “The Year of Sleeping Badly” was selected as one of the Best Short Stories of South Africa’s Democracy in 2014. In 2005, Baderoon received the Daimler Chrysler Award for South African Poetry and held the Guest Writer Fellowship at the Nordic Africa Institute. She is a member of the editorial board of the African Poetry Book Fund, and teaches Women’s Studies and African Studies at Pennsylvania State University. 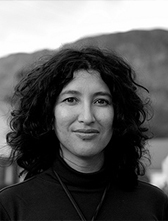 She received a PhD in English from the University of Cape Town, and has published widely on representations of Islam, slavery, race and sexuality. In 2009, she was a Future of Minority Studies/Mellon Fellow in the Summer Institute on Queer Studies in Transnational Contexts at Cornell University and in 2010-2011, she held a Research Fellowship in the “Islam, African Publics and Religious Values” Project at the University of Cape Town. She has also held fellowships at the African Gender Institute and the University of Sheffield and is the recipient of awards from the Andrew W. Mellon Foundation and the Sainsbury/Linbury Trust. Her poems and articles have appeared in journals such as Feminist Studies, Social Dynamics, African and Asian Studies, Research in African Literatures, and World Literature Today. With Sa’diyya Shaikh and Nina Hoel, Baderoon is the co-organizer of an international research project on Theorizing Gender, Subjectivity and Islam in Africa. Gabeba is an Extraordinary Professor of English at Stellenbosch University. Panashe Chigumadzi is an author who grew up in South Africa and was born in the Mbuya Nehanda maternity ward of Harare’s Parirenyatwa Hospital in 1991, a birthplace she shares with millions of other Zimbabweans, but nonetheless feels is auspicious as a writer interested in the narratives of black and African women. In 2015 her debut novel Sweet Medicine, was recently published by Jacana’s BlackBird Books imprint to both critical and popular acclaim. She is also the Founder and Editor of Vanguard Magazine, a womanist platform for young, black women coming of age in post-apartheid South Africa. Prior to this, she gained media experience as a TV journalist for CNBC Africa, where she produced a documentary titled “Africa’s Upstarts”. She went on to work in the office of the Managing Director as the Project Executive of the Africa Business News (ABN) Group. In this time she was also a columnist for Forbes Woman Africa and contributor to Forbes Africa. In 2015 she became a Ruth First Fellow where she delivered a memorial lecture titles “Of Coconuts, Consciousness and Cecil John Rhodes: Disillusionment and disavowals of the Rainbow Nation”. Chigumadzi is also a co-founder of the Feminist Stokvel, a collective of eight young black women in media and arts who aim to address issues facing young black women through events such as “Hair Soirees”, film screenings and panel discussions. She is also a regular speaker at local and international platforms. Events include her TEDxJohannesburg 2013 talk titled “A New Self-Identity for Africans” and her participation as the youngest keynote speaker at the 2014 Arts Electronica Festival held in Austria. Chigumadzi is currently studying towards a Masters degree in African Literature at Wits University. Nick Mulgrew was born in Durban in 1990 to British parents. He is the author of a collection of poetry, the myth of this is that we’re all in this together, and Stations, a collection of award-winning short fiction. In addition to his writing, he is the founding associate editor of Prufrock magazine, the Deputy Chair of Short Story Day Africa, and the founder and publisher of uHlanga, a poetry press. He currently lives in Cape Town, where he studies at the University of Cape Town. Masande Ntshanga is the winner of the inaugural PEN International New Voices Award. He was born in East London in 1986 and graduated with a degree in Film and Media and an Honours degree in English Studies from UCT, where he became a creative writing fellow, completing his Masters in Creative Writing under the Mellon Mays Foundation. He received a Fulbright Award, an NRF Freestanding Masters scholarship and a Civitella Ranieri Fellowship. His work has appeared in Laugh It Off, itch, Imago, Chimurenga, VICE and The White Review. He has also written for Rolling Stone magazine. The Reactive, his first novel, was nominated for the Etisalat Prize as well as shortlisted for the UJ Debut Prize and the 2015 Barry Ronge Fiction Prize.